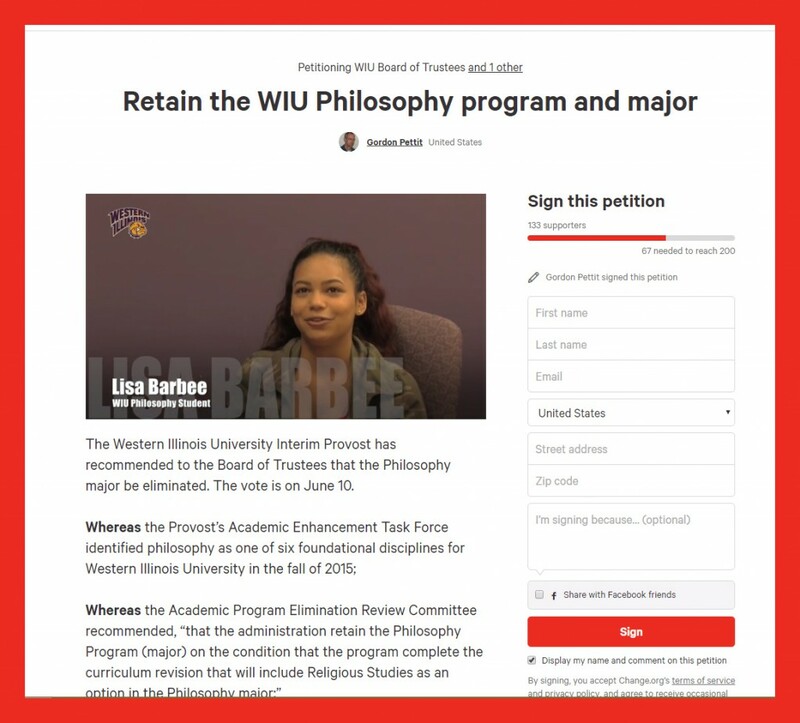 The other day we reported that the Department of Philosophy at Western Illinois University is being targeted for elimination by the university’s Board of Trustees. The Board will be voting on the matter on June 10th. Please take a moment to sign a petition supporting the department.